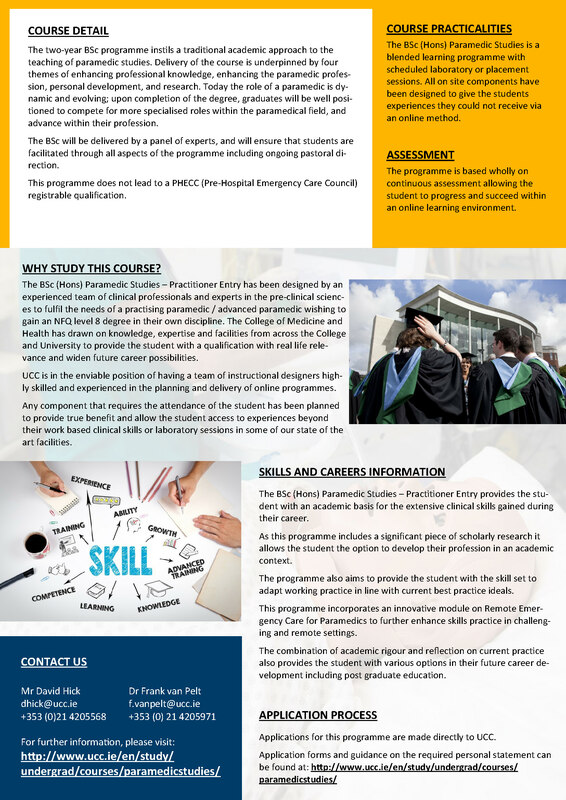 UCC BSc Paramedic Studies – Practitioner Entry – APPLY NOW! 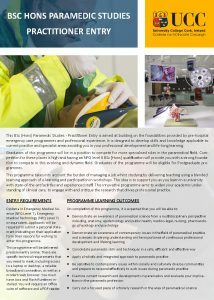 Paramedics are now taking on more in-depth roles in the patient care, both in and out of the community, do you want to take your knowledge and skills to a higher level to deal with the changing challenges and improve your career prospects? This course recognises that while you may have extensive experience as a paramedic, you may also need and want academic recognition to enhance your practice and position yourself for emerging roles. 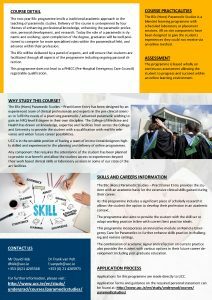 It builds on your existing knowledge to enhance practice and prepare you for the future by exploring theoretical and practical elements of the profession.